The natural world does not end at the Earth's stratosphere. Our own bodies are made up of elements that began their journey in the hearts of stars. The warmth of the Sun is just one of the conditions necessary to sustain life. Our planet is part of a bigger picture - a cosmos which has fascinated humans since we first gazed at the night sky. Meet the Museum scientists working at forefront of space research. 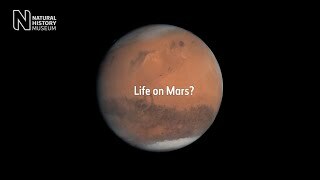 Get answers to your pressing questions about our solar system, space missions, space travel, the search for life on Mars, planetary protection and beyond. Explore highlights from the collections including gem-filled meteorites, extraterrestrial specimens and diamond stardust older than our solar system. Amateur astronomers are recording fireballs flying above the UK. Researchers have been studying the magnetic fields of 4.6-billion-year-old meteorites. This picture of the Earth and the Moon was captured by a NASA spacecraft on a mission to learn more about where life started. Planetary researcher and stardust expert Dr Ashley King shares his tips on how to get the best view. Falling from the sky in a blaze of glory, meteorites certainly know how to make an entrance, and the stories they tell span the history of our solar system. When an unusual rock fell to Earth in 1795, it prompted the first large-scale investigation into the origin of meteorites. A handy FAQ about meteorites, meteors and other small celestial bodies that Earth encounters in its travels around the Sun. Explore facts about the biggest and hottest object in the solar system. Explore facts about Mercury, our solar system's fastest planet. Discover facts about Venus, the planet closest to Earth. A distinctive blue and green image of Earth reveals our planet's most remarkable features. Explore facts about this small but mighty celestial body. 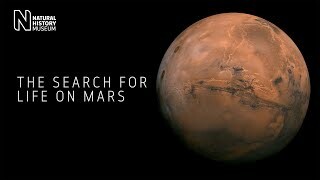 Explore facts about Mars, the red planet. 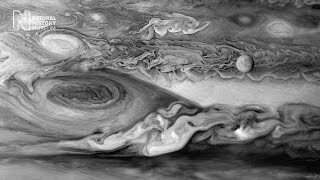 Giant auroras, raging clouds and a storm three centuries in the making - Jupiter is every bit as dramatic as its appearance suggests. Blue skies on a golden planet, and two of our solar system's greatest extremes – Saturn is a planet of contrasts and surprises. Cold, dark and windswept - despite its calm appearance, the ice giant Uranus is a planet of extremes. 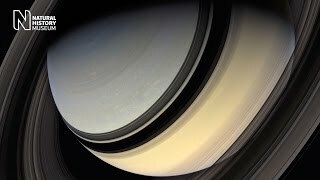 Our solar system's outermost planet may be last but it's certainly not least. Get the facts on this planet of extremes. A blue atmosphere, smooth areas, and youthful mountain ranges - this dwarf planet is full of surprises. 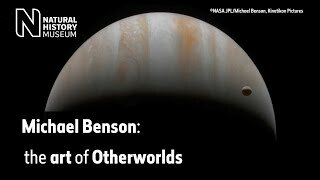 Discover how a giant interstellar cloud known as the solar nebula gave birth to our solar system and everything in it. It is 6.5 billion times more massive than the Sun, and it is 55 million light years away. Scientists are trying to clean up the tens of thousands of pieces of junk in space. The spacecraft will continue taking three pictures a week until it reaches the asteroid. Meteorite impacts may have been key to life on Earth. The Parker Solar Probe will get closer to the Sun than any other spacecraft in history. Scientists have concluded that there is not enough carbon dioxide on Mars for humans to live on the planet. These are the first images from the surface of the far side of the Moon. The probe will help reveal some of the secrets about Mercury. Researchers have found evidence that suggests Mars once had an ancient ocean and a water cycle similar to Earth's. 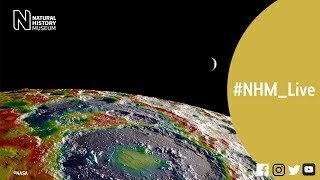 Dr Aderin-Pocock talks us through asteroid sample return missions, and what experts are doing to prevent a space rock hitting Earth. A lunar eclipse happens when the Moon's orbit takes it into the shadow of the Earth. Orbiting between Mars and Jupiter, the asteroid has been named after the Museum's Head of Collections. New stars and planets are being born all the time, but it's not often that scientists get catch a glimpse of the process. It's not easy to observe space from the middle of a big city, but it is possible. Here's how. A supermoon is a regular part of the Moon's orbit of Earth, appearing larger and brighter in the sky. But why does this happen, and should we care? Water on the surface of the Moon was supplied by asteroids, a study has shown. Last year, the Museum switched on a CCTV camera with a difference - instead of filming people, this one records the night sky. Anyone can capture the majesty of the galaxy with a simple camera. All you need is a dark, clear night and the willingness to have a go. By studying how organisms survive and thrive on Earth, scientists have identified key ingredients that appear to be essential for life. 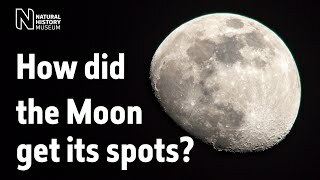 How long is a day on the moon? Find out with this visual tour through our solar system's most fascinating features. Peering into our solar system's origins with light brighter than ten billion suns - discover the work of a planetary scientist. Institutions in South Kensington will host a day of events celebrating the launch of British astronaut Tim Peake. Museum scientist Professor Sara Russell says the discovery could mean that organic material, including water, is widespread in the outer reaches of our solar system. Museum researcher Dr Joe Michalski says NASA discovery points to Martian environments that could be habitable by certain kinds of bacteria. The satsuma-sized Ivuna meteorite contains a record of primordial material from 4.6 billion years ago - around the same time as the formation of the sun and planets. Data from a Pluto flyby to be turned into art. A special kind of opal that can trap microbes on Earth has been found in a Martian meteorite, suggesting a new target in the search for signs of life on Mars. Planetary scientist Dr Penelope Wozniakiewicz is looking for micrometeorites on a remote island in the Pacific Ocean. Prof Sara Russell is part of a mission to collect samples from the asteroid Bennu and return them to Earth in 2023. Microscopic particles brought back to Earth by the Stardust mission are likely the first examples of interstellar dust. Lunar meteorites reveal the diverse composition of the Moon's crust, contrary to a theory based on Apollo samples. 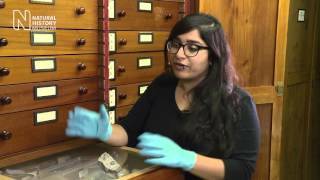 Women scientists, including the Museum's Mars expert Natasha Stephen, will discuss their work on South Bank this Saturday 29 June 2014. NASA's chief scientist tells the European Lunar Symposium that people on the surface of the red planet is the Agency's 'primary mission'. Museum scans of 3.9-billion-year-old Apollo Moon rock could expose new insights into the Moon's geological history. Search for Earth's building blocks heats up as Rosetta nears its target.